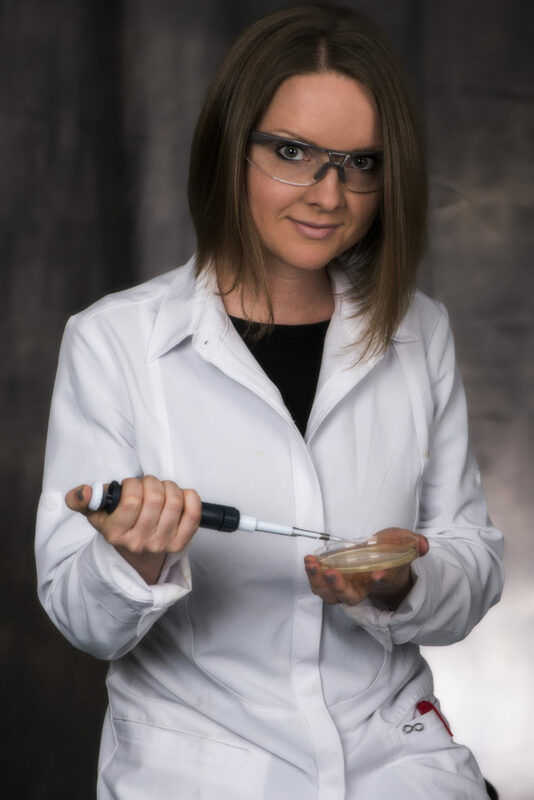 UO Chemistry and Biochemistry’s Autumn Bradley began her Science Starters project with an idea to interview women with interesting jobs in scientific fields and share what she learned by writing a series of children’s books. She sought to encourage young readers – especially girls – to imagine themselves pursuing a career in the sciences. She wasn’t sure what would come of her endeavor but hoped it might help counteract the obstacles and stereotypes she had faced as she pursued her own scientific career. It’s fair to say that what has come of it so far has been pretty remarkable. Since publishing her first book, Astrophysicist Akimie, in October 2016, Autumn has been amazed at the support she has received and the opportunities that have come her way. She co-headlined a summer reading event at Barnes and Noble and was invited to participate in Eugene’s annual Art and the Vineyard Festival. She presented her work at a symposium for educators at the Maryhill Museum in Goldendale, WA, as well as for a FIG class at the UO. She has been asked to do a TED talk for TedxPortland, and Eugene’s Science Factory has recruited her to help plan their summer solstice event. And the Science Factory will soon have her books for sale at their museum store. For each book in the Science Starter series, Autumn begins by recruiting experts – women scientists working in the field – to fact-check her scientific content. She then combines a rhyming narrative with vibrant illustrations and infographics, offering readers the opportunity to delve deeper into the science behind the storyline. More about the science behind the rhymes is explained in a special section in the back of the book, along with a page describing a typical day in the life of a scientist in the field, and how to become one. 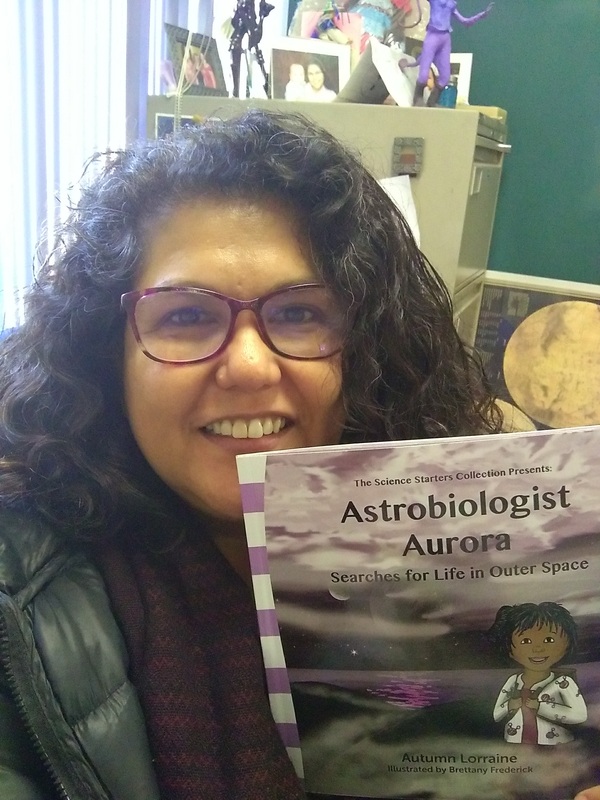 Astrobiologist Aurora, the second installment in the series, was published in September 2017. While Astrophysicist Akimie took readers on an exploration of the nature of the universe and the formation of galaxies, stars and planets, Astrobiologist Aurora takes a closer look – examining the science that helps us understand what life is, what conditions are necessary for it to exist, and how we search for life on other planets. Autumn’s science consultants for this edition were Dr. Antígona Segura Peralta, Mexico’s first female Astrobiologist, and Dr. Giada Arney, an Astrobiologist at NASA. The book is beautifully illustrated by Brettany Frederick, a UO General Science major that graduated last spring. Autumn is currently working on her next book, Scientist Sydney, which will focus on what science is and how it’s done, introducing readers to the scientific method. Ms. Frederick will also be illustrating this third volume, which is due to be published in the fall of 2018. What Autumn finds so fascinating and encouraging about all this activity is that she hasn’t had to look for opportunities to share her work – word has just gotten around and the opportunities have come to her. Which is not to say that she isn’t a go-getter. Although not typically comfortable with public speaking, Autumn has been surprised by how at ease she feels when reading her work in public. She’s participated at open mic sessions at Tsunami Books and other venues, and enjoys answering questions from the audience about science and her work. She wears several professional hats – Lab Preparator, Real Estate Agent, Author – which puts her into contact with a wide variety people. And she finds that many of them are interested and enthusiastic about what she’s doing with her Science Starters project. Autumn says she has been overwhelmed by the reception she and her books have received. There was a little girl who was so excited to have a science book just for her. An older gentleman who purchased a book, explaining that although he did have any children to give it to, he was going to donate it to his local library. Prominent female scientists have responded to her “cold-call” email requests and lent their expertise to fine-tune her science content. All things considered, Autumn’s journey with her Science Starters project has been quite a story in itself. Our elementary students welcomed Autumn Lorraine Bradley when she came to read her books to grades kindergarten through sixth grade. They were so excited to have the author read them her story while being captivated by the rhyme and illustrations. Many had questions which were able to be answered in the information packed “science behind the rhymes” section of the book. I love that she is informing young girls to empower their dream of becoming a scientist while explaining how to achieve that goal. Wouldn’t it be wonderful to see this book in each and every elementary classroom around the world? Autumn you are quite an amazing young lady. I’m very proud of you and your success. Keep writing and encouraging others. Science is a wonderful and interesting field of study.